32 or 64 Bit for Your VPS? There’s an interesting discussion on SliceHost forum that I spotted a while ago — “Might I have to say goodbye to Slicehost? (64-bit vs. 32-bit)”. Someone is thinking of leaving SliceHost because all its OS templates are running 64 bit Linux. That means your sizeof(long) and sizeof(void*) are now 8 bytes instead of 4, which actually can significantly increase the memory usage depending on the applications you run. The same has also been said in this SliceHost vs. Linode comparison — x86_64 simply uses more memory than the plain old x86. So now you not only paying the same for less memory ($20/month gets you 256MB on SliceHost vs. 384MB on Linode), your applications are also using more memory due to its 64 bit architecture — enough to force you to step up the plan. One of my friends has his WordPress website running at SliceHost. It’s a typical LAMB setup with no control panel, but originally I thought a 256MB Slice would suffice. Apparently not, and the amount of swapping due to possibly bad-optimisation and fat 30+MB Apache processes force him to upgrade to a 512MB slice. But 512MB just to run a low-medium WordPress site? That’s pathetic. I too have similar experience. Two Ubuntu boxes. One 32 bit at VPSLink and one 64 bit at SliceHost. Both running pretty much my standard LAMP stack serving WordPress and Drupal sites (except Nginx instead of Apache). No opcode cache loaded. Minimum number of extensions. A php-cgi process is around 35MB VSZ and 14MB RSS on 32 bit, but 120MB VSZ and 25MB RSS on 64 bit. That means I can run almost twice the number of FastCGI processes, which can be beneficial on a busy site. I guess for a standard web app stack, unless I really have a specific need for 64 bit, I’ll probably stick to that plain old 32 bit. LNMP is a tool to auto-compile & install & manage Nginx+MySQL+PHP on Linux. The current version : 0.3 ,Now support Linux distribution : CentOS 4.8~5.4 32/64bit, Debian 4.0~5.0 32bit/64bit ,Ubuntu. Domain has been registered for less than a month by someone in Kansas. Servers are in Frankfurt, Germany. UnixBench provides a basic indicator of the performance of a Unix-like system. Multiple tests are used to test various aspects of the system’s performance. These test results are then compared to the scores from a baseline system to produce an index value, which is generally easier to handle than the raw scores. The entire set of index values is then combined to make an overall index for the system. Some very simple graphics tests are included to measure the 2D and 3D graphics performance of the system. Multi-CPU systems are handled. If your system has multiple CPUs, the default behaviour is to run the selected tests twice: once with one copy of each test program running at a time, and once with N copies, where N is the number of CPUs. 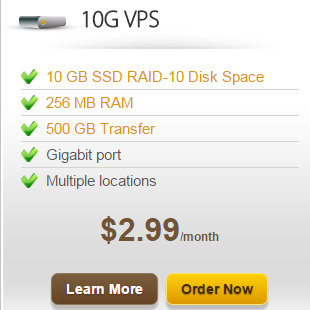 VPS stands for a Virtual Private Server. A virtual private server is a method of partitioning a physical server computer into multiple servers such that each has the appearance and capabilities of running on its own dedicated machine. Each virtual server can run its own full-fledged operating system, and each server can be independently rebooted. Why choose a VPS instead of Shared Hosting? 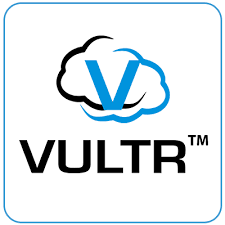 A VPS, offers significant advantaged over Shared Hosting. The main ones are, scalability as you can upgrade your Hard Drive and Memory as you require, and customisation in that you can customise your VPS in the same way that you can with a Dedicated Server. Because resources are not shared, hosted applications or websites are much more faster as well as more secured. You can host any services you like from your VPS, including web hosting and email accounts; install entry databases running on MySQL or MS SQL Web Edition or your own software. You will have root access to your VPS so there’s no limit to what you can run, as long as it doesn’t violate our terms of service.